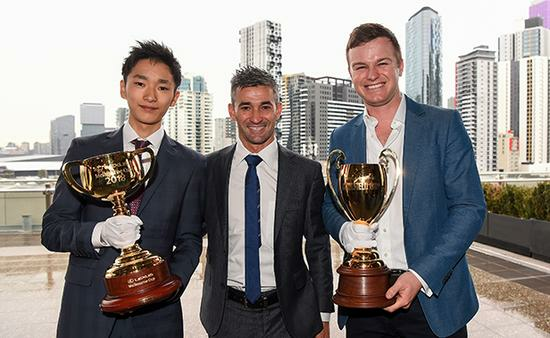 Japan's affinity with Melbourne's famous Cups features is set to continue in 2018, with Chestnut Coat and Sole Impact confirmed entrants for each of the $5 million Stella Artois Caulfield Cup and $7.3m Lexus Melbourne Cup. And in huge news for rising apprentice jockey Ryusei Sakai, the 21-year-old has been pencilled in provisionally for the ride aboard the Hirofumi Toda-trained Sole Impact. Sakai is currently serving his apprenticeship under master Ryan Balfour at Morphettville. 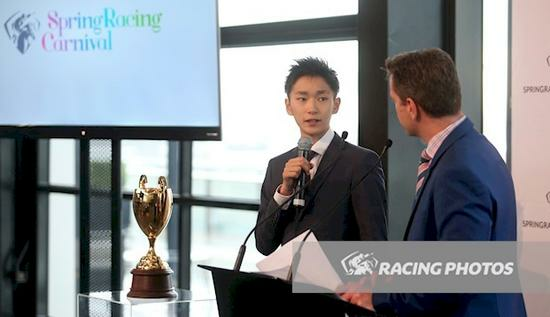 "I was so excited and very surprised when I received the offer to ride Sole Impact in the Caulfield Cup, which will be my first start in a Group 1 race," Sakai said. "It will be a great experience for me to ride in such a time-honoured race, and I'm really grateful to all the connections for giving me this opportunity." "Chestnut Coat and Sole Impact are both quality horses and we identified them as potential Cups horses some time ago, so it's very pleasing that their connections have already announced that they will be sending them to Melbourne for the Spring Racing Carnival," said RV's general manager of international and racing operations Paul Bloodworth. Japan has a great recent history with the spring Cups - Admire Rakti winning at Caulfield in 2014, while Delta Blues and Pop Rock famously ran the quinella at Flemington in 2006. Darren Weir's Japanese import Admire Deus was all the hype prior to last year's Caulfield Cup, before sadly sustaining injuries that proved fatal just days out from the race. The most recent Japanese-trained Caulfield Cup runners were Fame Game (sixth) and Hokko Brave (10th), behind Mongolian Khan in 2015.